Miken's specific balanced weight distribution. Miken's T3000 Alloy extrusion process maximizes performance and durability which allows for even thinner walls creating athe ultimate sweetspot zone. Miken's massive sweetspot designed to increase bat performance. 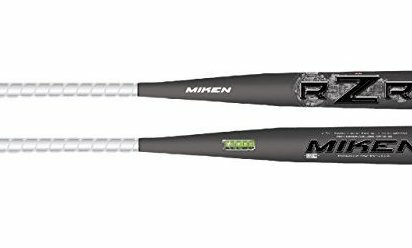 Miken's 100 % Alloy design allows maximum trampoline effect and a bigger sweetspot for the player wanting a high end aluminum bat.